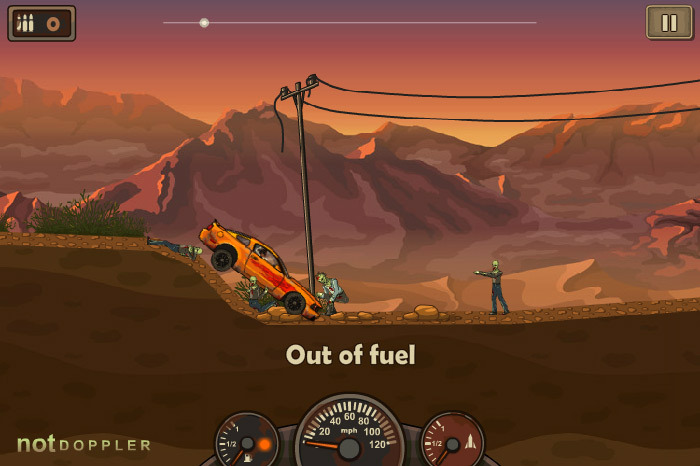 It’s post-zombie apocalypse, and the desert is teeming with brain-hungry zombies. It’s up to you to deliver a package to a run down, battered safe zone. 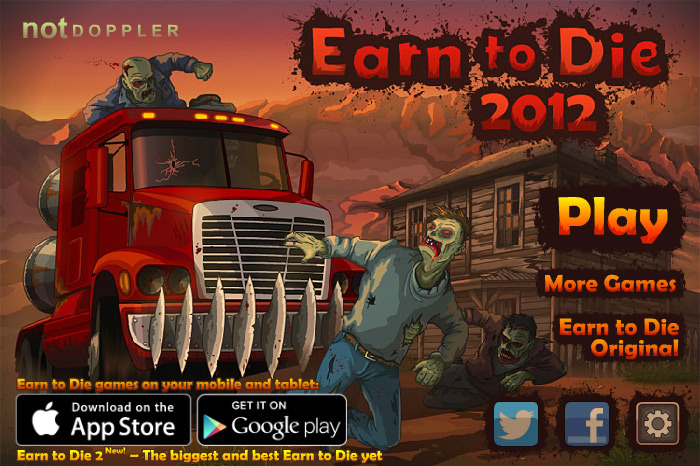 Crush, smash, and blast your way through the zombie hoards to make it to your destination and safely deliver the package in Earn to Die 2012 Part 1. Your primary objective is to purchase and upgrade your vehicles to reach the goal line. 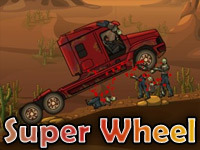 Along the way, smash, shoot, and blow up the zombies along the road to earn bonus cash. 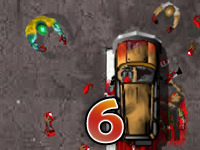 The closer you get to the goal line and the more zombies you hit, the more money you will make. 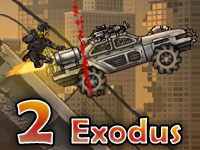 Use the money to purchase upgrades for your vehicle’s parts and more powerful vehicles. Complete all three levels to beat the game and brag to your friends. 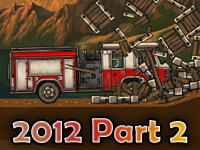 Earn to Die 2012 has a few key controls that players should learn and become comfortable with to ensure success in the game. 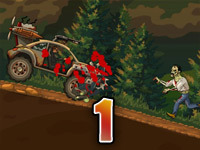 To accelerate, press the up arrow key. 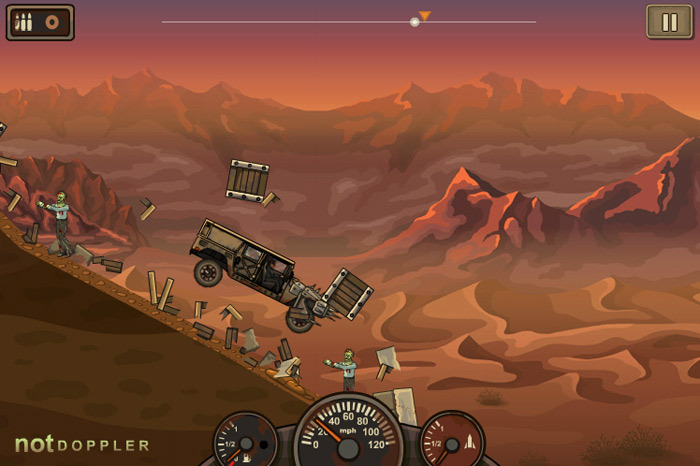 To control the vehicle’s tilting, use the left and right arrow keys. Once you’ve unlocked the booster jets for a vehicle, you can then activate them while playing on a map by pressing either the X or J keys. 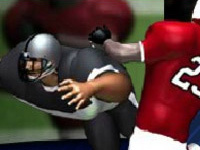 You begin the game with a starter sports car and a little cash. Use the cash to purchase a few upgrades for your car, such as upgrading the gas tank to hold more fuel to travel the furthest distance possible in order to make the most initial cash. 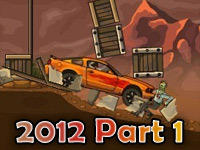 You can then begin upgrading other parts on your car, or save for a more powerful vehicle. 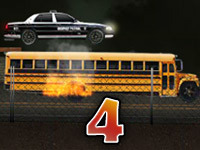 There are three vehicles you can use in Earn to Die 2012 Part 1 – a sports car, a truck, or a school bus. 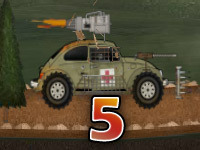 Each vehicle includes its own upgrade parts, so when you purchase a new vehicle, you will need to upgrade it from scratch.